Jones, S. C. & Barrie, L. (2009). 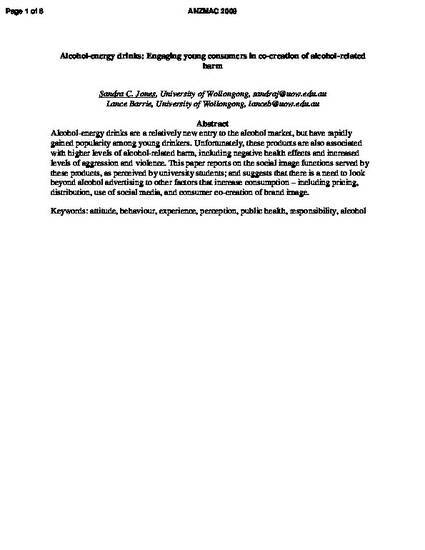 Alcohol energy drinks: engaging young consumers in co-creation of alcohol related harm. Proceedings of the Australian and New Zealand Marketing Academy Conference (pp. 1-8). Melbourne, Australia: Australian and New Zealand Marketing Academy.